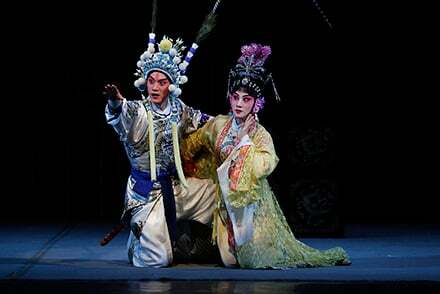 But Fu Xiru, an artist with Shanghai Jingju Theatre Company, and Shan Yue Jin, the company’s artistic director, revealed that Peking opera artists today learn a lot from techniques used by Western opera singers. 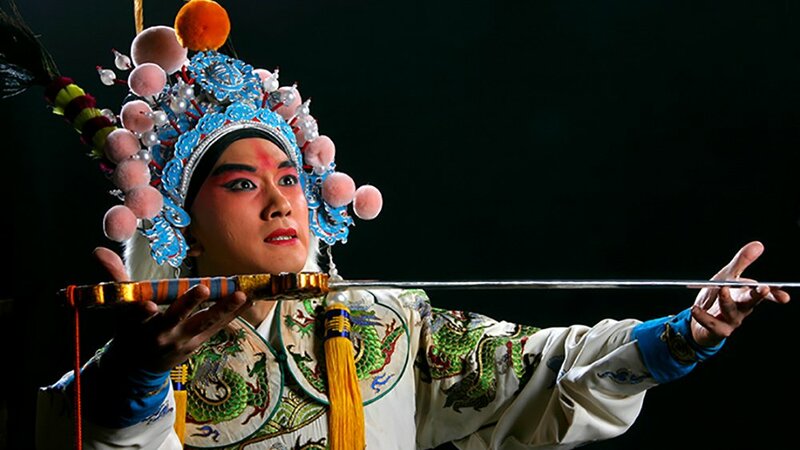 China has developed many interdisciplinary art forms that all fall under the umbrella of “Chinese opera.” Peking opera, which formed during the 19th century, combines music, drama, dance, and acrobatics to create a single, unforgettable spectacle. 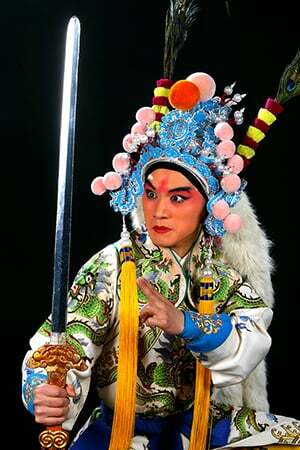 Fu began his training, like most Peking opera artists, at a very young age. “I was introduced to Peking opera by my father, who is a Peking opera musician, at the age of 6,” he said. “I started learning how to play the instruments. Later, I got into performing myself and I just fell in love with the art form.” At the ripe age of 15, Fu made his professional debut. To date, he has practiced his art for 30 years. “To be a good performer,” he said, “you also have to have talent and really love what you do because of all the training that is involved.” And, while lots of training is to be expected for any professional performer, the types of training Fu and his colleagues have received are particularly diverse. “Peking opera requires artists to have many different skills,” he explained. “There are four main categories: singing, speech, movement, and action.” The broad category of “movement” includes everything from hand, feet, eye, and other body movements, while “action” includes martial arts. But one thing a poem can’t teach you, per se, is how to sing. These days, Peking opera artists also incorporate Western singing techniques into their bevy of skills. “These include breathing techniques,” he said, “in particular supporting the breath from the belly. Though we also use a technique we call ‘dog breathing.’” He demonstrated by taking several quick, shallow breaths, panting like a puppy. But what happens to performers who, like Fu, start training at 6, but who, unlike Fu, may not posses the skills or desire to have a professional career? When Peking opera first began in the late 19th century, however, this would not have been the case. Today, even in many Western conservatories, students receive some semblance of a liberal arts education. Often, though, training is so heavily focused on performance, that graduates find transitioning into other careers to be quite the challenge. To learn more about Shanghai Jingju Theatre Company, visit the company’s website. This interview with Fu Xiru and Shan Yue Jin was kindly translated by Z. J. Tong, President of the Chicago Chinese Cultural Institute.